Most divorce records are public due to the First Amendment and the need for transparency in the justice system. Essentially, court judges work for the public, and it is the public's responsibility to make sure that judges are performing their duties correctly. To do that, the details of court cases need to be available for public scrutiny. You can't decide if a judge is doing a good job if you can't see the details of what he is doing. There are instances in which divorce records are sealed or kept private from the public. Some states will automatically seal parts of the divorce dealing with financial information, psychological evaluations, paternity issues, or abuse, either spousal or child. However, New York seals every divorce automatically for 100 years after the divorce, although this is the only state that does. In most states, the only way for a divorce to be sealed is for both parties involved in the divorce to request it. Even then, there is no guarantee that's what will happen. Even in these circumstances, the entire divorce is generally not sealed, as judges don't like to seal entire court proceedings. Judges tend to be more agreeable if the couple asks for only the specific sensitive information to be sealed while the rest is kept public. Although divorce records may be public, that doesn't mean they are easy (or free) to obtain. There is, however, some basic information you can find online with a little determination. Consult the court records directory to find out exactly where records are kept by county and state. Scroll down to find out in which court divorces occur. Scroll back to the top and click on the "Courts by County" link under "(State) Courts Overview." Click on the appropriate court. Click on the court's website link. Find either "Case look up," "Court case look up," "Records search" or something similar. Input the name of one of the people in the divorce case. Click on the case number for details. This isn't going to give you much more than the date of the divorce and possibly a couple of other minor details. 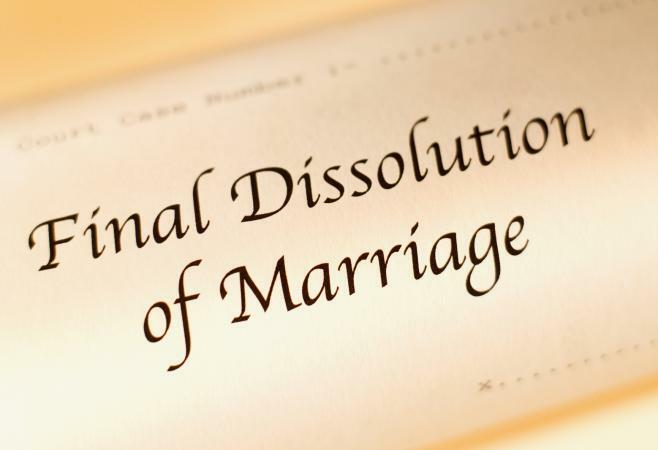 If your goal is to find if a divorce occurred, this may be enough for you. If you need more details about the case, you'll have to request a copy of the divorce papers through the same website. There is a fee for these papers. If you don't know the county that a couple was divorced in, but you know the state, you still may be able to get the information you want. Do an online search for your state's vital records office. On that website, look for dissolution of marriage records. The fee tends to be minimal and, although you can't get copies of the divorce papers, you can get proof that the divorce occurred, along with both party's names, and the place and date of the divorce. You can use that information to get more detailed records from the county in which the divorce took place. If you're looking for your divorce records, the easiest way to get a copy of your divorce records is to contact your lawyer, who should give you a copy for free. If you need a certified copy with the court's seal, you'll have to order them (and pay for them) through the county court's office. Aside from specific exceptions, divorce records are public. It may take some searching and effort to find them, but you should be able to get at least verification and the date of the divorce if you know the county in which the divorce took place. If you only know the state, you can still obtain the information, but for a fee. For the full details of a divorce case, expect to pay more money and go through a lengthier application process.